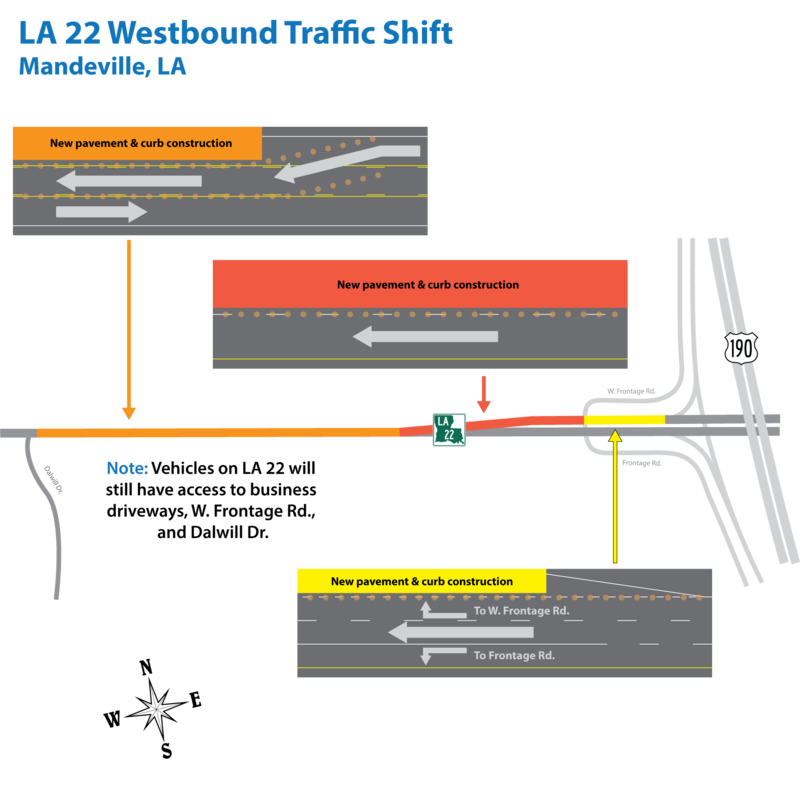 St. Tammany Parish- The Louisiana Department of Transportation and Development announces that beginning on Monday, March 25, there will be a significant traffic switch along LA 22. The stretch between US 190 and Dallwill Drive will be re-configured to a temporary two-way roadway, with westbound traffic shifting to the center turn lane. During this time, motorists will still have access to business driveways on W. Frontage Road and Dallwill Drive. The configuration is needed in order to begin removing the existing roadway to lay new asphalt and curbs along this corridor. This is part of a $2.58 million widening and drainage improvement project that was awarded to Magee Excavation and Development. It is anticipated to be completed Fall 2019, weather permitting. All construction activity is weather dependent and may be rescheduled in the event of inclement weather. DOTD appreciates the motoring public’s patience and reminds drivers to please exercise caution when traveling through work zone areas and be on the lookout for work crews and their equipment.